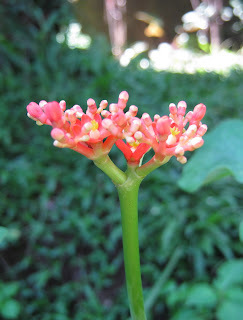 I have this plant in my front yard. Simple and beautiful. 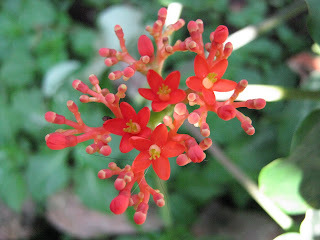 Its common names : Coral Plant, Physic Nut, Guatemala Rhubarb. I share these pictures for Today's Flowers, you’ll find many beautiful flowers from around the world there.